It has been a long long hiatus from the blog. First it was work, then it was travel for work, then there was travel without work, then the festivals, then some inertia, and then some more. But there have been things I have keenly waited to share; this recipe for a foolproof wholewheat cake is one of those things I cracked after a lot of trial and error with ingredients and quantity adjustments, and I simply had to share for the benefit of other people like me who deal with consistency issues in baking. My biggest learning this season was that one cannot be a rebel when it comes to baking. Being an Aquarian, it was difficult for me to leave my whimsical side outside my kitchen and follow recipes without succumbing to the urge to substitute or tweak. It took me a long time to realise that but once I got my head around it, results followed soon enough. As I researched on my failures, I realised that one has to be mindful of so many factors while baking – nature of ingredients, validity of leavening agents, quantities, amount of beating/mixing/folding required, volume of the baking tin, oven temperature, volume of oven, resting time, and so on. I have shared a few tips and some useful article links at the end of this post. The best part about this recipe was that wholewheat does not alter the taste of the cake at all. It tastes just as its regular less healthier counterpart, and in fact packs slightly more character. 2. Lightly beat and add one egg at a time to this mixture. 4. In another bowl, mix together the dry ingredients and sift twice. 6. Quickly sift and fold in the dry ingredients into the wet mixture, in 3 batches. Gently fold and do not refrain from the temptation to beat or overmix. 6. 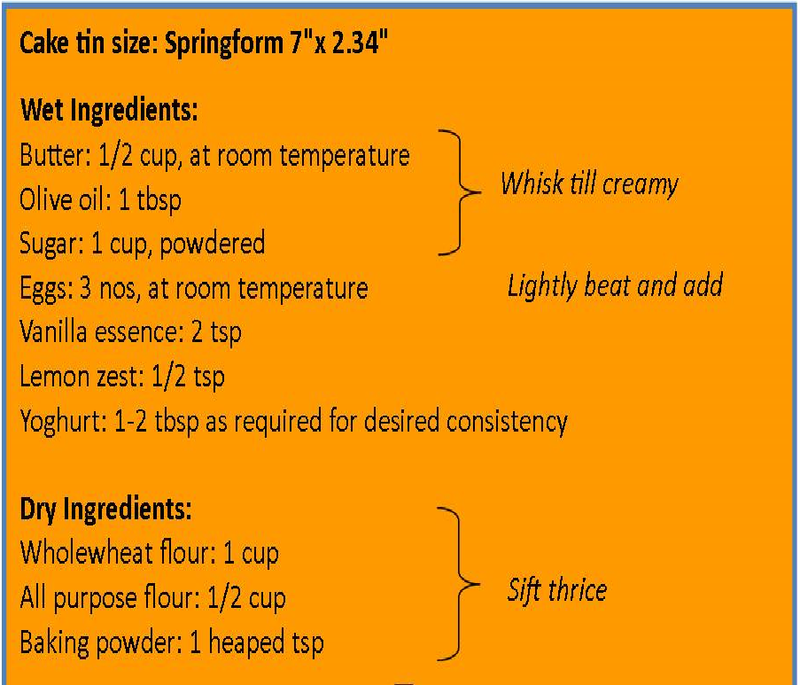 Pour batter into baking tin and bake in a pre-heated oven at 170 deg C for 35-40 mins. 7. Rest for at least 10 mins before demoulding. Understanding the exact nature of ingredients in the recipe – If we need to substitute, the exact function of the ingredient we are substituting. 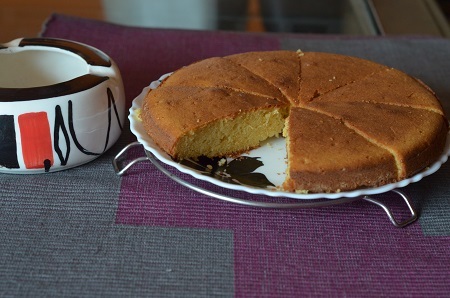 For example, the olive oil in this recipe is optional, but it adds to the lightness of a cake. Once wet and dry ingredients are mixed, batter should be promptly plonked into oven since the leavening agents start reacting instantly. 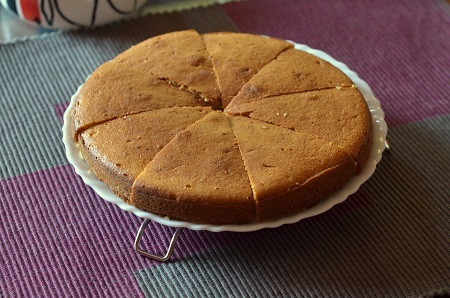 The temperature of the oven – Low temperature than required may result in sunken cakes. Opening the oven door too many times may result in lowering the temperature and again,sunken cakes. For the same reason as above, temperature of each ingredient is equally important to make them behave in the expected way. An easy rule is to ensure that everything, except the oven, is at room temperature during the preps. A lot of recipes suggest baking soda, but I always fail to get rid of the metallic aftertaste it imparts. Some articles suggested its left behind by unreacted soda, however, I now prefer to play it safe by steering clear of baking soda. In dire straits, I use fruit soda (such as lime flavoured eno) which has given me similar results without the aftertaste. Here are some useful links I came across that were helpful in my realisations. Next Next post: Viva Goa! I have never made cake with yoghurt. But will try this one. Hope will be tasty.